One of the critical success factors for any contact center is to equip the customer care representatives with the best, most user-friendly, and most efficient tools possible to provide first call resolution to the customer. Customers demand convenience, and your contact center representatives must be able to communicate and interact with your customers via any medium that is chosen. As an outsourcer of customer contact center services, American Customer Care is exposed to many different clients as well as client systems, many who require that we utilize their system for handling customer contacts. Other clients share that their internal systems leave them frustrated with a lack of reporting capability/flexibility, lack of certain functionality needed to handle the customer contact, or its difficulty in navigation. Whichever the case, American Customer Care is flexible and responsive in utilizing best practices and procedures to provide improvements in technology and the resulting information disseminated within the customer interaction for your program. Each of American Customer Care's contact centers is equipped with a software-based phone switch. The platform is a best of breed call center application that provides ACD, PBX, unified messaging, email, web chat, digital recording, Integrated Voice Response (IVR), predictive dialing, CTI, reporting, and other call center functional requirements all in one integrated system. Our phone switch is Microsoft based. All of our internal databases are standardized on the MS SQL platform. Our internal application development is web based, utilizing JAVA and HTML tools. Our software provides us with the most current switch technology available today, including sophisticated automatic call distribution, unified messaging, skills-based routing, intelligent overflow with "look back" queuing, and basic representative queuing. Switch technology is crucial in order to streamline call vectoring to the representative best able to handle your calls. Our ACD capabilities allow us not only to route the call, but also to alert the representative of who's calling via DNIS or ANI and pop the script, allowing them to be one step ahead of the customer. Skills-based routing may also be utilized to make your program more efficient by segregating certain types of calls and routing them to different representatives on your program. Based on DNIS, our switch is able to identify the program the customer is calling in on, route the call to the agent best able to handle the call, and pop the agent screen applicable for that program automatically. The system allows us to handle an interaction with your customers in any form that they choose (e.g., phone, e-mail, web, white mail/U.S. mail, IVR, etc.) as the switch treats any customer inquiry (call, e-mail, or chat) uniformly as a "contact" to be routed based on skills and priorities within the queue to the appropriate CSR. Switch technology is crucial in order to streamline call vectoring to the representative best able to handle your calls. This assures incoming calls are distributed to the right agent for the job (e.g. - Spanish-speaking agents, those who are specifically trained on a certain client, those agents who can handle calls from a number of different clients, etc.). If all agents for a particular job are busy, it will send the call into a "queue" which will have an announcement that all lines are currently busy, please hold until an agent becomes free and give estimated hold time. The system also handles complex overflow and escalation schemes, allows callers to navigate self-help menus while on hold, and provides audible agent alerts (into our agents' headsets) pre-recorded agent greetings, and will "pop" the agents' screens for whatever project they are working on. Our ACD capabilities allow us not only to route the call, but also to alert the representative of who's calling via DNIS or ANI and pop the script, allowing them to be one step ahead of the customer. We have found that the easier you make it for your customers to interact with your company, the faster that loyalty and long-term relationships are established. Our CTI capabilities begin with capturing information from the carrier such as ANI and DNIS. This information can help route calls to a specific queue for special handling. The screen pops can display that data and any additional data that may have been captured during IVR. All calls are captured in a call history file and with recordings if required. The calls can also be routed or weighed via skills-based routing that is set up on a queue-by-queue basis. Caller ID (ANI) is captured from the inbound call if the callers allow that information to be retrieved. Screen information is captured and stored with any IVR, CTI information and transferred if necessary to the CSR with the appropriate training. The system has a comprehensive call center software platform that provides the superior tools necessary for our team leaders and QA personnel to monitor and interact with our CSRs. This platform includes monitoring, call conferencing with a supervisor, unsupervised monitoring, screen viewing, and digital recording for call playback. Ability of our CSRs to be able to connect and handle calls remotely ("Virtual employees"). CSRs can still receive screen pops and all of the functionality that the system offers. CSR supervisors can still monitor CSRs' performance and record remote CSR calls at any time and from any CSR location. Our system allows us to run a "virtual" contact center - meaning that calls can be routed throughout our different locations seamlessly in real-time and the customer doesn't know any difference. This gives us coverage and additional redundancy over different time zones and weather patterns should the need arise. In the CIC system, basically any form of communication is treated as a phone call. The system handles incoming faxes, e-mails and phone calls and captures them for our agents' (or supervisors') retrieval utilizing call priority and skills-based routing capabilities contained within the software. The system also records voice mails, and e-mail can be played back through the phone utilizing text-to-speech functionality. The Interactive Voice Response System (IVR) system is a fully integrated module within the software, allowing your customers to route themselves to appropriate representative groups or informational services by responding to audio prompts of any size. The IVR application enables us to provide self-service options ranging from a simple English/Spanish split, to more complex applications that provide the caller with self-service ability to access your shipping or billing databases, store/dealer location, or make credit card or check by phone payments. We also have the ability to execute complex database inquiries for record retrieval utilizing text to speech capabilities, and insert, update and delete data along with a wide range of telephony operations including call routing. If customer calls have been recorded they can be retrieved and listened to via IVR, and emailing via IVR is also an option. Many of our clients request, and we deliver, automated e-mail responses to complete a transaction. This can take the form of simple messages to gather missing bits of data to requesting extensive amounts of data (in a user-friendly format). Our e-mail management system can be programmed to provide responses for both simple and complex consumer inquiries. We currently provide this capability to many of our clients. This can be delivered from the CSR's desktop as needed. All information contained in the response will be updated to the database/system used for your program. Once a response is received from the consumer, the transaction will be completed and the database/system updated. Text Chat - gives consumers the ability to click on a "chat now" button on a website to start real-time chat with one of our CSRs. Chats - able to be queued and routed with the same queuing and skills-based routing that are used for phone calls (e.g. we can route the chat to the CSR who is best able to handle the chat). E-Mail Management - handles all incoming e-mails from consumers and allows them to be distributed to CSR. Web Call-Back Requests - call-back buttons will prompt the customer to enter appropriate information so one of our CSRs can call them back when available. The development of customized contact center applications and CRM tools goes hand-in-hand with our business of providing customer contact center services, and is one of our specialties. Many clients have looked to us, and we have built, fully customized solutions to handle their customer interactions. Our experience has been that many clients who approach us to develop customized applications have been disappointed with the limited customization available from commercial packages, or are unwilling to make the huge investment necessary to obtain them. American Customer Care maintains an unwavering focus on fulfilling the needs of our clients, even under the most adverse conditions, including disaster. In American Customer Care's continuing efforts to provide unrivaled service levels to our clients, we developed disaster recovery and business resumption procedures to ensure our ability to perform in our client's best interest, at all times. The servers that run our software-based phone switch are fully redundant in our facilities. Thus, if an entire site is down, we are able to transfer the distribution of calls for those programs remotely to our excess-capacity stations in non-affected locations. The facilities each have two switches/servers, one being the main server and the other the backup, and are monitored by an automatic switch over mechanism. Should both servers at a location go down, we would re-route calls via our predetermined plans with the long-distance carriers. Re-routing plans are specifically addressed on a client-by-client basis. Each facility has a generator that will engage automatically via an automatic transfer switch within three (3) minutes should power to the building go out. The generator will power all critical systems, including the following: Phone switches, everything in our server room, the racks they're stored in, all agent stations as well as supervisor stations, the air conditioning in the server room, and all alarm systems. Each of the above-mentioned are also equipped with UPS's which provide 30-40 minutes of backup power should it be needed prior to the generator engaging. At the carrier/Network Services level, we have various services available including, but not limited to: Hot Stand By, Automatic Trunk Reroute, Timed Automatic Trunk Reroute, On Demand Trunk Reroute, Take Back & Transfer, Unsupervised Trunk-to-Trunk Connections, and Independent RespOrg supporting multiple carrier data base distribution. We work with clients to customize carrier level support plans that best meet their specific needs. Customized carrier support plans may impact the Tele-services cost to our clients. We are able to utilize our system's virtual contact center capabilities to redirect calls to alternate sites, and/or establish pre-determined routing plans within our carrier's network. We typically design business resumption plans on an individual basis with our clients, which address the required level of performance to be maintained on a given program should an adverse event occur. American Customer Care will work in conjunction with our clients to determine the specific levels of redundancy required, taking into account the possibility of training additional agents in a redundant facility, additional licenses, and system connectivity from the alternative site. American Customer Care provides both physical and logical security for its clients' programs. 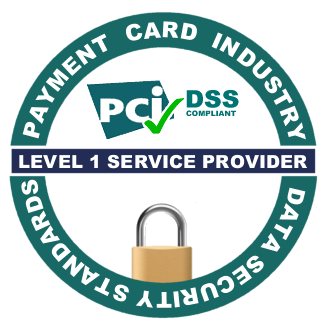 To do this, we have established and continue to maintain procedures and tools to safeguard and insure that security and data integrity are not compromised, and to protect our clients' information assets that are in our environment. Each of our centers has a security system with security codes issued to authorized individuals. Our centers are equipped with a video monitoring system with continuous video recording of major access points. Our server rooms are located in secure areas with access limited to our IT Director and the authorized network administrators. Our team leaders are constantly walking the floor to monitor agents and are able to quickly identify any inappropriate behavior concerning our clients' data. Daily and weekly backups are performed and data is stored securely offsite in a fireproof safe, accessible only by authorized personnel. Our LAN is secured to keep information safe from access by outsiders. We provide access to client systems to agent users only. All agents are required to memorize their passwords, and upon separation from the company, their accounts disabled. Passwords are changed monthly by mandatory prompt. Passwords are encrypted on our servers and network administrators only have the ability to reset, not change.